How Do I Market My Book To Become A Best-Seller? How Do I Create An Effective Bio? How can I get high rankings in Google Local Search? Learn how to cut your traditional advertising costs by up to 90%? Is the new media evolving too fast for you? Learn where to start? Are you having trouble putting all the pieces together? Let’s simplify it. Learn why the new search and social media should not be ignored? What are the 5 Most Important steps in creating a new media marketing strategy? What is the best sequence to implement your new marketing strategy? How to avoid making the single biggest mistake most people make in social media? How can an old 7 step selling process be adapted to the new online world? Your Visibility And Explode Your Income! If not, join me on Thursday, March 25 at 7:00 pm CST as I highlight one of my ALL-TIME favorite marketing tools that will quickly catapult your small business to the top of its industry. The bottom line is that if you aren’t blogging, then you NEED to jump on board. Small business owners are realizing revolutionary results and I am going to reveal my simple, step-by-step system on how YOU can tap into this low-cost, high-impact strategy immediately. ♦ You’re spending too much time and money marketing your business. ♦ You’re not entirely sure how to utilize blogging as an effective marketing tool. 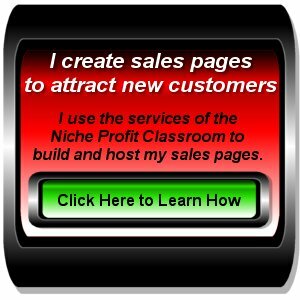 ♦ You want more clients and/or customers immediately. ♦ You are in dire need of bringing more visitors to your website or storefront. ♦ You desperately need to convert more visitors to paying customers or clients. ♦ You want proven strategies for instant and immediate income. Why every small business owner needs a blog in today’s competitive environment. How to set-up a blog in 3 simple steps (this is so easy, even my 12-year old can do it)! A specific, step-by-step system for coming up with “out-of-this world” blog topics. Your personal blueprint for blogging three times a week (even if you HATE to write). Plus, so much more (if you’ve ever attended one of my webinars, you KNOW how much you are going to learn)! If you’re ready for ANOTHER shoestring marketing strategy that is ensured to boost your bottom line, I suggest that you sign up for this complimentary webinar today. Seats are limited and my events always fill up FAST! I’m looking forward to helping you make a big splash (on a shoestring budget) with your small business! Request a topic or question for a BizChatz Radio call. Simply, post it on this form and receive notice of live tele-webcasts and featured interviews that will increase your sales and business productivity. It’s a unique learning experience. Save time, gas, and money while you learn more to earn more. Patrick Snow has spent over ten years of his life developing this unique system that is designed to save you both time and money in your quest to achieve your publishing and book promotion goals. He is a professional speaker, publishing coach, book promotion coach, and speaker coach. 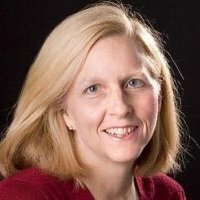 Publicity Expert Nancy Juetten is fiercely committed to helping business owners everywhere quickly get up-to-speed on the best ways to use do-it-yourself publicity to share their messages in the traditional, online, and social media. In this interview, she shares a few tips on how you can say Bye-Bye to your Boring Bio. Shannon Evans is an author, speaker, and entrepreneur. She is committed to teaching how to make ‘Every Word Count’. Shannon instructs authors and speakers ways to leverage the social web to market their work through books, workshops, and podcasts. In this interview, she shares some tips on business use of Twitter. How can I get high rankings in Google, Yahoo, Bing ? Richard Geasey exposes local search secrets in his book, Get Found Now, where he and Co-Author Shannon Evans reveal how to achieve high rankings in Google, Yahoo, and Bing. I talked to Richard in a recent BizChatz Radio interview where he shares some of the secrets found in his book.